Dolby is once again bringing the thrilling impact of the movie theater experience into your living room. Their latest surround sound technology, Dolby Atmos, offers new levels of depth and realism that will make movie soundtracks even more immersive and exciting. Dolby Atmos is a new audio format for creating and playing back multichannel movie soundtracks. It was developed to give movie sound a more three-dimensional effect. Traditional 5.1- and 7.1-channel surround setups deliver captivating sound using speakers placed all around your room. Dolby Atmos takes this to another level with speakers to create a "height" layer of sound above the listener. This overhead sound extends the height of your system's soundstage while also allowing for some very cool effects. Imagine hearing an airplane flying over your head – not just in front of and behind you. With a Dolby Atmos setup, your ears can locate sounds with pinpoint accuracy, for a more realistic and enveloping listening experience to complement the visual excitement on your TV. While Dolby Atmos may be new to home theaters, it's already in use in hundreds of movie theaters. Movie soundtracks are being created and mixed to take advantage of the unique experience Dolby Atmos offers. This technology is poised to inject more excitement and drama into your home theater – no matter if you have a modest living room setup or a dedicated theater room. What do you need for Dolby Atmos? Blu-ray discs with Dolby Atmos soundtracks are already hitting stores (don't worry – they'll work in your current Blu-ray player). In a conventional surround setup, you'll need a home theater receiver capable of decoding Dolby Atmos soundtracks, as well as speakers to project sound from above you. For a simpler solution, check out Atmos enabled sound bars — they make it easy to get Atmos in your home. Read on to learn more about what you'll need and how it all works. WHAT KIND OF SPEAKERS DO I NEED? There are a few ways to get Dolby Atmos. In conventional surround sound setups, you'll add two or more speakers to project sound from above the listening positions. If you prefer a streamlined approach, check out sound bars with built-in Dolby Atmos processing. These speakers offer accurate overhead sound, for a new level of home theater immersion. 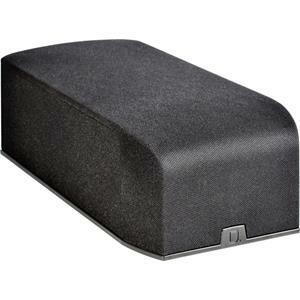 This is a great option if you're designing a new home theater or want the best possible listening experience. These are newly designed speakers that reflect sound off of your ceiling. These speakers rest on stands, sit on top of front and rear speakers, or are integrated in a single cabinet with front-firing speakers. It's an easy way to add Dolby Atmos to an existing home theater. These single-speaker solutions take convenient home theater to a new level – no receiver needed. 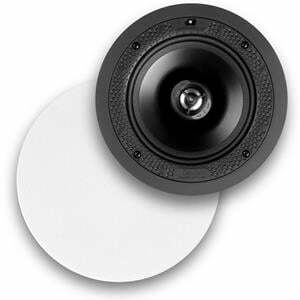 In addition to traditional front-firing drivers, they feature upward-firing drivers that reflect sound down from the ceiling toward your listening position, adding height to the soundstage and creating overhead effects. When shopping for a Dolby Atmos capable home theater receiver, you'll see a new way of describing speaker configurations. Do I need to have 11 speakers? For best results, Dolby recommends 11 or more speakers. This includes 4 in-ceiling or Dolby Atmos Enabled speakers. However, you can enjoy Dolby Atmos with fewer speakers in various combinations, such as adding two in-ceiling or height speakers to a 5.1-channel system. 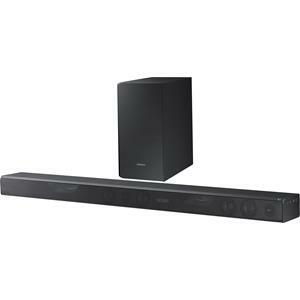 You can also consider an Atmos enabled sound bar. For a conventional surround sound setup, you'll need a Dolby Atmos capable home theater receiver to unlock this technology. Several new receivers offer Dolby Atmos processing built in; other models will require a firmware update. These receivers or firmware updates are scheduled to be available in September. Dolby Atmos capable receivers will typically have outputs for "height" speakers that can also be used with conventional 7.1- or 9.1-channel setups. Connect your in-ceiling or Dolby Atmos-enabled speakers to these outputs and configure the amplifier's settings in your receiver's menu for Dolby Atmos playback. If you want to add more speakers than your receiver can power at one time, look for a Dolby Atmos capable receiver with additional preamp outputs. These receivers can be used with external power amps to add more speakers later on for even more immersive sound. You won't need to buy a new Blu-ray player to enjoy Dolby Atmos content. 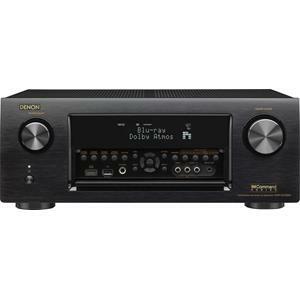 Current and recent models will be able to transmit these soundtracks to your receiver via an HDMI cable. Even with older Blu-ray discs, Dolby Atmos setups can offer new levels of depth and excitement, for sound that truly surrounds you. Look for Blu-ray discs with Dolby Atmos soundtracks. These discs will also include other surround sound formats like Dolby TrueHD for use with older receivers and surround systems. For Dolby Atmos playback, set your Blu-ray player to bitstream out and disable secondary audio.